Dan Schawbel, recognized as a “personal branding guru” by The New York Times, is the Managing Partner of Millennial Branding, LLC, and the author of the #1 international bestselling book, Me 2.0: 4 Steps to Building Your Future. 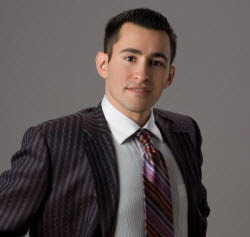 Dan is the founder of the Personal Branding Blog, the publisher of Personal Branding Magazine, the youngest columnist at BusinessWeek, and has been featured in over 350 media outlets, such as The New York Times and ELLE Magazine. He’s spoken at Harvard Business School, MIT, Time Warner, IBM, and CitiGroup. Dan was named to the Inc. Magazine 30 Under 30 List in 2010. You can follow Dan on Twitter or Linkedin. G: How would you define a social media “influencer”? D: A social media influencer is someone who people pay attention to, keep up with, and do business with because of their message, ideas and expertise. G: How do you measure the influence? D: Your influence is comprised of how many people you touch, who those people are (how influential they are), and how many of them would make a purchase based on your recommendation. G: Who/What is influencing you on Social Media Properties? D: I learn a lot from Steve Rubel and David Meerman Scott, who are my favorite advocates, experts and influencers in the social media world. They are honest, transparent and come up with good conclusions about what’s going on in this industry. G: What are the key mistakes when targeting influencers and how to avoid them? D: Most people are selfish when it comes to networking. They email influencers asking them to promote their products in services, without helping them with their needs first. Also, you should try and impress them by doing something creative to catch their attention. Then, when they’ve already heard about you, they will be interested in what you have to say. G: Do you think targeting influencers is overrated (examples of failed campaigns) or is it an important part of Social Media Strategy? Why? D: Targeting influencers is a great strategy because it saves you time from trying to get in front of hundreds of people. If an influencer recommends you, it typically turns into multiple press opportunities, more products being sold, and more awareness and brand equity being built. G: What are the trends that you are following at the moment and feel most passionate about? Why? D: I’m spending a lot of time on Google+ right now because I see it as a tool that will reinvent how small companies collaborate and do business, among other applications. I’m also very interested in millennials and the workplace, as they will become half of the entire workforce by 2025. My value is in the connection between social media tools, the workplace, and career/business success. 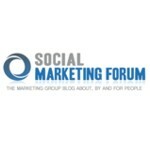 G: How the growth of social commerce and location based services will affect marketers? Why is it important? D: Data is the key to unlocking a better future. When companies know where you are, they can give you more targeted offerings around you. There’s a lot of value there and it will help consumers, as long as they are willing to give up their privacy. Social commerce has affected all industries because relationships matter, and social media has a major impact on search. G: How the growth of new media platforms (mobile, tablets) will affect marketers? D: Marketers have to get their content and message seen across all forms of media, from mobile phones to tablets. If your website can’t be seen on every platform, then it will hurt your business. Consumers expect your brand to be everywhere now. G: Is social media integration becoming a quality standard of successful company? D: Yes, you need to integrate your social media tools into one succinct strategy so that they can re-emphasize everything you do, build your brand consistently, and support one another. They are all part of the new marketing paradigm. D: I got into social media after I started a blog in 2006, which became the Personal Branding Blog in 2007. The blog was my way of sharing my passion and expertise around the topic of personal branding and all the social networks feed into it. I saw the potential and bet that it would matter. D: Google+, Facebook, Twitter, and LinkedIn. There’s no point in investing your time anywhere else at this point. G: Do you read everything that you share or RT? Is sharing becoming a form of showing gratitude to your peers? D: It’s a mix between supporting my peers and just adding value. I won’t share something, for the most part, that has nothing to do with personal branding because my audience is looking for that type of information.